In the coming months, Australia will have a polarising debate on the federal government’s decision to amend section 18C of the Racial Discrimination Act, one that will test the government’s working relationship with indigenous people and other minority groups. The government believes the law goes too far in limiting free expression. Its decision was triggered by the censure of Andrew Bolt for articles suggesting ”fair-skinned” people of mixed indigenous and non-indigenous descent could not genuinely identify as indigenous, should not take part in indigenous arts and cultural awards and chose to identify as indigenous for personal gain. Bolt described these individuals as ”the white face of a new black race – the political Aborigine”. All political traditions limit free speech; conservatives support censorship on moral and national security grounds, for example. The government’s job is to balance individual freedoms with legitimate restrictions to protect people from harm. Balance is achieved through consistent, principled reasoning, not reacting to single events. I’m concerned this is not happening here and I question whether the government would take similar action over other groups. Take, for example, British National Party chairman Nick Griffin’s statements that black people cannot be British. Griffin believes British people of African or Asian descent are ”racial foreigners”; that British-born people of Pakistani descent are not British but remain of ”Pakistani stock”. Griffin has been convicted of inciting racial hatred. In 1998, the Howard government denied him entry to Australia. Griffin imagines a continuing, authentic Briton and believes the absorption of non-white people into Britain and mixed marriages is leading to ”bloodless genocide” of the British race. This is obviously nonsense. Foreigners have been settling in the British Isles for thousands of years, through bloodless and bloody means alike. British identity is defined by national laws and based on descent and citizenship, not genetic purity. Indigenous people are also from tribal nations, with membership based on kinship and descent. Traditional laws are complex, highly developed and unique to each nation. Traditionally, these laws defined the nation’s members and regulated how people could interact. They also regulated how outsiders fit into the community. I’m not part of a ”black race”. I’m from the Bundjalung nation and a descendant of the Bundjalung, Gumbaynggirr, Yuin and Irish peoples. My children and grandchildren are also Bundjalung, including those with ”fair skin”. For me, it’s just as offensive to say any of us aren’t Bundjalung as it is to say a black person cannot be British. Bolt clearly does not see this parallel. He dismissed Mick Dodson’s call for a treaty because Dodson’s father is Irish. ”Sign a treaty with yourself, Mick,” he wrote. Yet I’m sure Bolt would not describe Britain as signing a treaty with itself when it agreed the Treaty of Versailles with Germany, even though Britain’s King George V was ethnically German and Danish. Likewise, a treaty in Australia would not be between black people and white people. It would be between the Commonwealth and indigenous tribal nations. Bolt’s articles actually adopted the same logic as Griffin’s. The difference is Britain is a sovereign nation able to define its people through its laws. Indigenous nations were invaded and colonised and their traditional laws are not recognised. This difference is not relevant when it comes to defining racial vilification. Jewish people are a nation of people originating from a common geography, genealogy, language and religion. They were also dispossessed of land and sovereignty and dispersed over thousands of years, yet they maintain their identity as a people and nation. Judaism is not just a religion; there are many secular Jews. Traditionally, Judaism is defined primarily by matrilineal descent: a person is Jewish if born to a Jewish mother. Israel’s law of return allows any Jewish person to migrate there. Imagine if Bolt wrote that people with Jewish matrilineal lineage were not authentically Jewish and disputed their right to migrate to Israel because they did not resemble the Israelites Moses led out of the desert. Undoubtedly, he would warrant censure under section 18C. But I doubt this would prompt a repeal of those laws. It’s legitimate to question if people who are not disadvantaged are receiving benefits at the expense of those who are, but ”indigenous” is not synonymous with ”disadvantage”. Bundjalung law does not require that I have been discriminated against to be recognised. Skin colour makes people a target of bigotry. However, bigotry is not always based on skin colour. I know ”fair-skinned” people who have hidden their indigenous ancestry to avoid discrimination. Indigenous people of mixed descent do not necessarily escape disadvantage or its consequences through their families. Some have suffered more. Initiatives for indigenous arts, culture and language are not welfare. Their purpose should be to foster indigenous cultures and maintain them as they evolve. Skin colour and disadvantage are irrelevant for an award open to people of indigenous descent. Likewise, if the purpose is to break disadvantage, the question is whether the recipient meets the relevant disadvantage test. Being of indigenous descent is not, of itself, enough. I doubt the government would repeal section 18C to protect the right to describe black Britons as ”the black face of a new white race” or to call people ”political Jews” because they do not have the same skin colour as Abraham. The problem is Attorney-General George Brandis does not regard Bolt’s articles as being in the same league. This debate is not really about individual freedoms; it’s about perceptions of race and racism. The problem is not section 18C; it’s ignorance of the sophistication of indigenous laws and cultures. I am pleased the Attorney-General has promised to consult before introducing legislation. I hope the federal government will listen and keep an open mind. Amending section 18C would send a dangerous signal. I believe it would be a mistake. 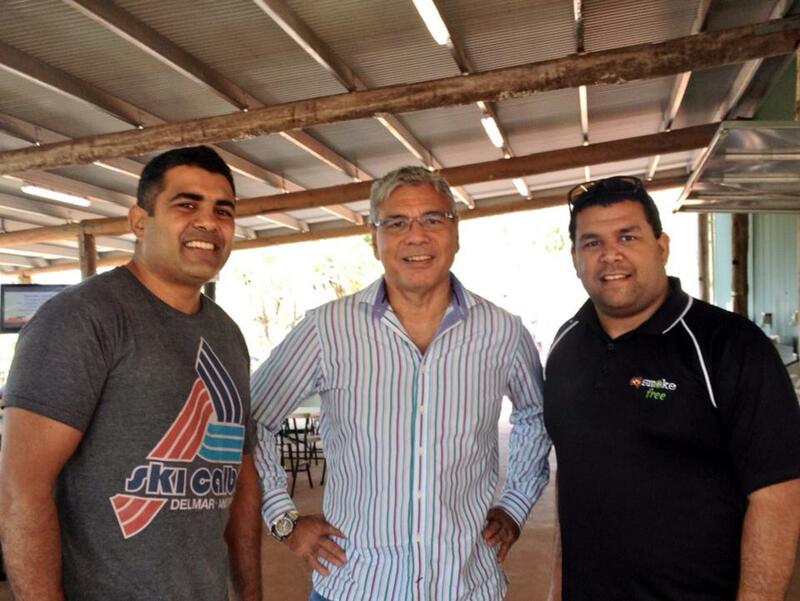 Nyunggai Warren Mundine is an aboriginal activist and former Federal President of the ALP.